I know that a freshly baked apple pie is the very best – especially when it’s homemade. I have a recipe for homemade apple pie filling, and that’s usually my go-to for apple pie. When you’re out of ingredients for a freshly-baked pie, homemade apple pie filling is next best. If you want to can some homemade pie filling, go to that recipe. One day as I was out and about, I got a text from my son who lives in Colorado. 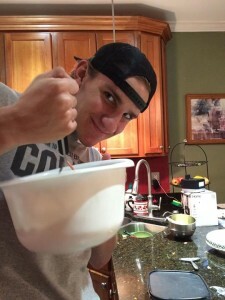 Ben decided he wanted to make apple pie and wanted a recipe. Now. 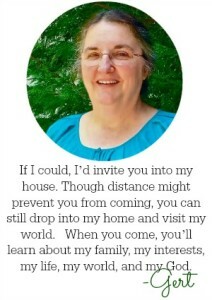 I was driving down the Interstate, so I called my friend Marj, who makes the best apple pie in Virginia (I think). I gave him the recipe, and he used it. I heard he won rave reviews for “his” apple pie. A tart, firm apple makes the best apple pie. There are many choices out there, and Ben made two pies, using Granny Smith apples for one and Honey Crisp for the other. (He’s a Google guy, so he checked it out). 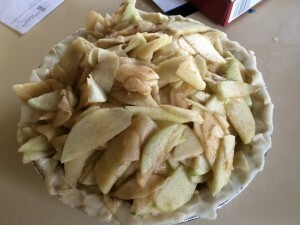 When he was home over Christmas, he made another pie for us, and he used what I had on hand: Red and Golden Delicious. 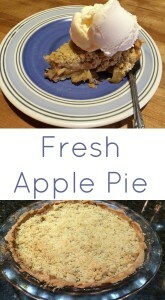 My family likes a crumb topping on apple pie, but you can use a pastry crust for the top if you’d rather. I’m sure one reason my gang likes the crumb topping is because I prefer it over making a top crust, so it’s what they’ve had all their lives. It’s simple, really. You use ingredients you have in your kitchen: apples, sugar, flour, and cinnamon for the pie. My friend Marj told me she doesn’t use cinnamon; I’ve had her pie and never realized! 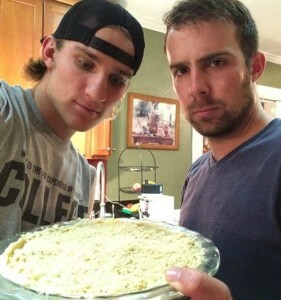 Ben likes cinnamon, so he added it to his pies. 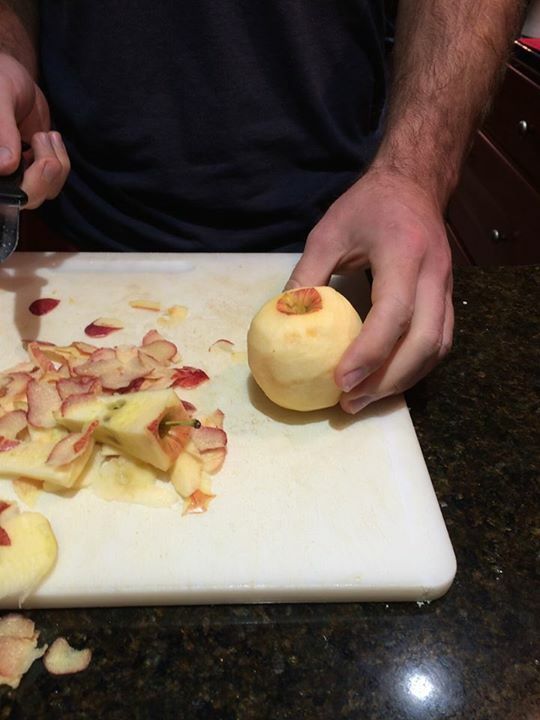 peeling the apples – and using a corer as well. 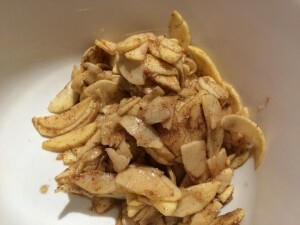 Add all your ingredients to a bowl: sliced apples, sugar, flour, and cinnamon (optional). It will make a heaping pie plate full, but the pile will flatten as the pie bakes. Trust me. The first pie he made before he put the crumbs on top. – sent to me from CO via cyber space. 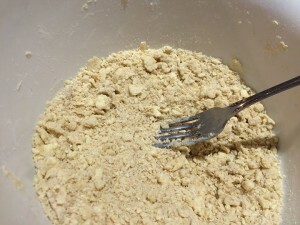 For the crumb topping, use a pastry knife or a fork to mix the ingredients. Butch mixing the crumb topping. What’s with the mess in the background?! 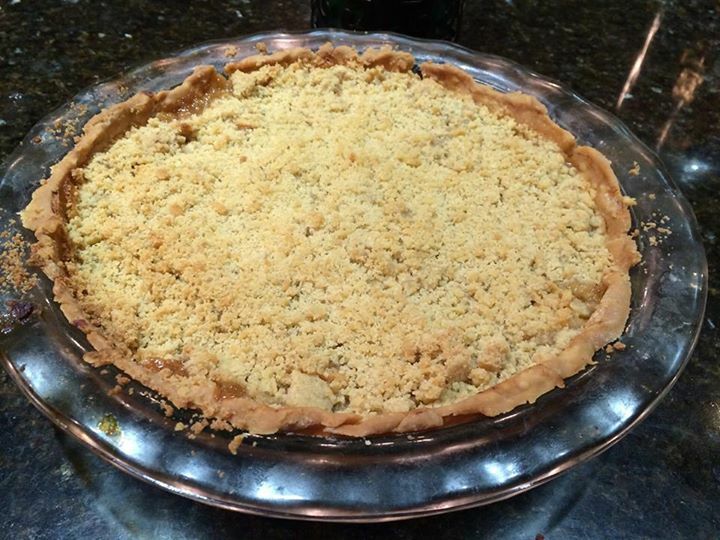 Put the apple mixture into the pie crust, then top it with the crumb topping (or crust). My youngest did the crumb topping and my oldest did the apples. And this is the finished product. Ben wanted to try out the pie plate he was given for Christmas. 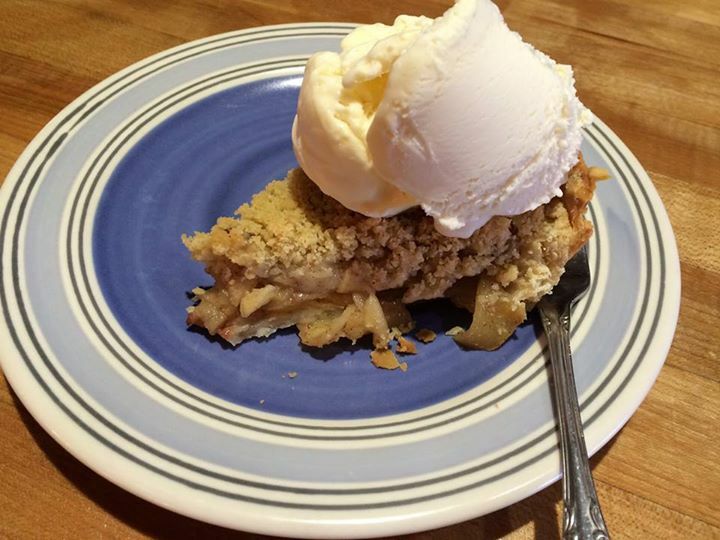 Peel your own apples, add a few ingredients, and you'll have a real homemade apple pie! Wash apples, then peel and core.